PHNOM PENH, July 15, 2014 - Cambodian opposition protesters beat a security guard during a protest near the Freedom Park in Phnom Penh, Cambodia, July 15, 2014. 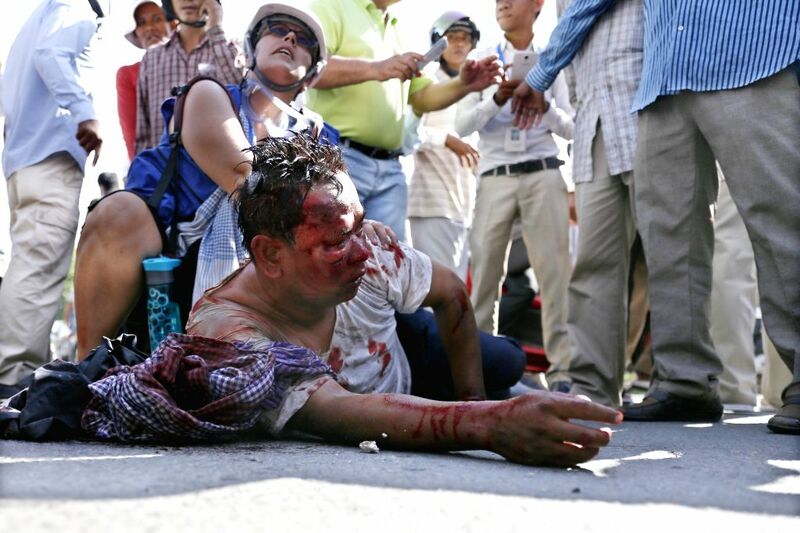 Cambodian authorities have detained three opposition lawmakers-elect for inquiries after a clash between security forces and opposition activists on Tuesday morning, Kheng Tito, spokesman for the National Military Police, confirmed. 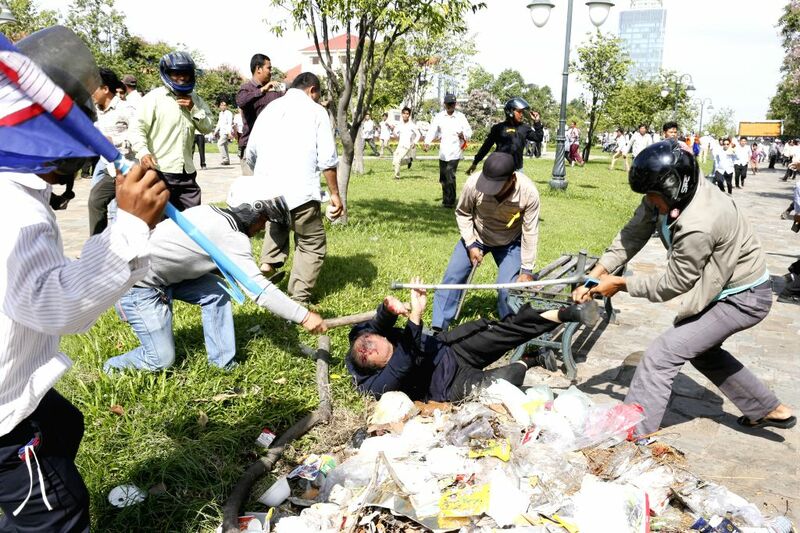 A security guard is seriously beaten during a clash near the Freedom Park in Phnom Penh, Cambodia, July 15, 2014.